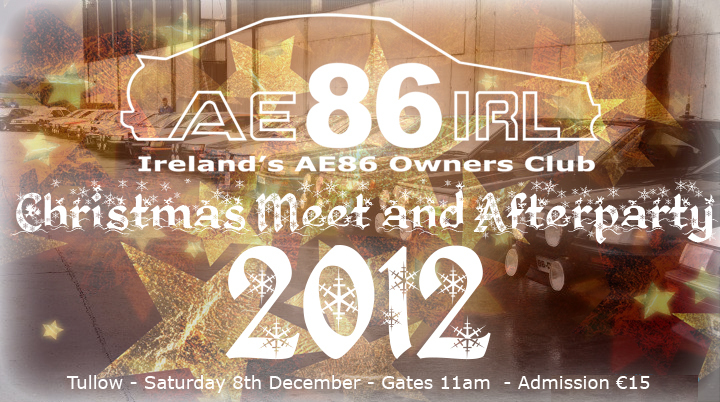 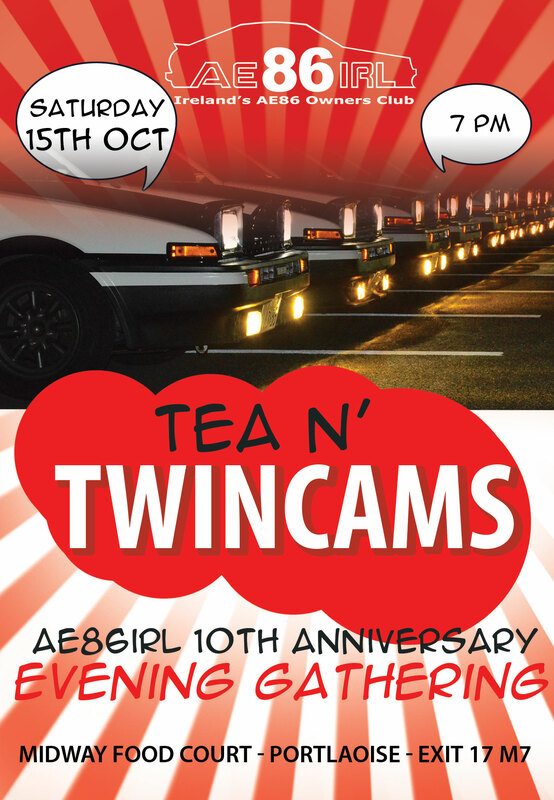 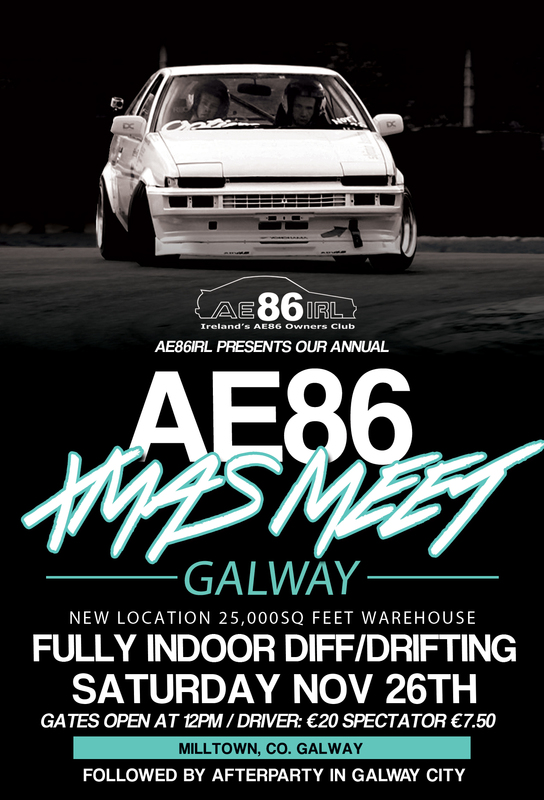 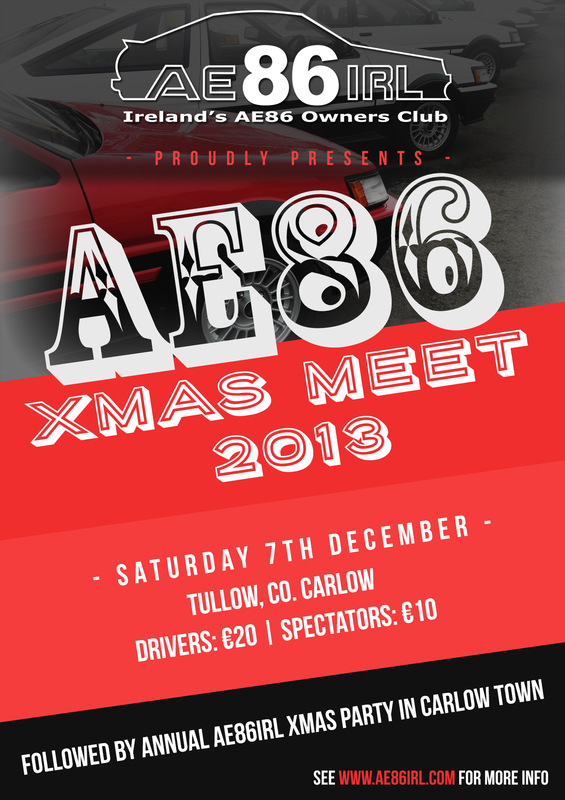 AE86irl.com > Events > End of Year Meet this weekend! 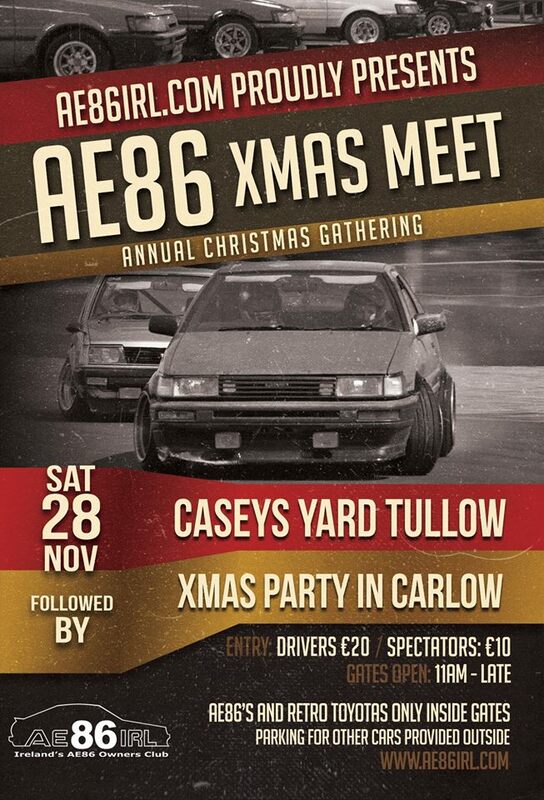 Just a reminder in case you have fallen off the face of the earth that our end of year meet is this Saturday the 8th of December @ Tullow Gates open at 11 and admission is 15euro. 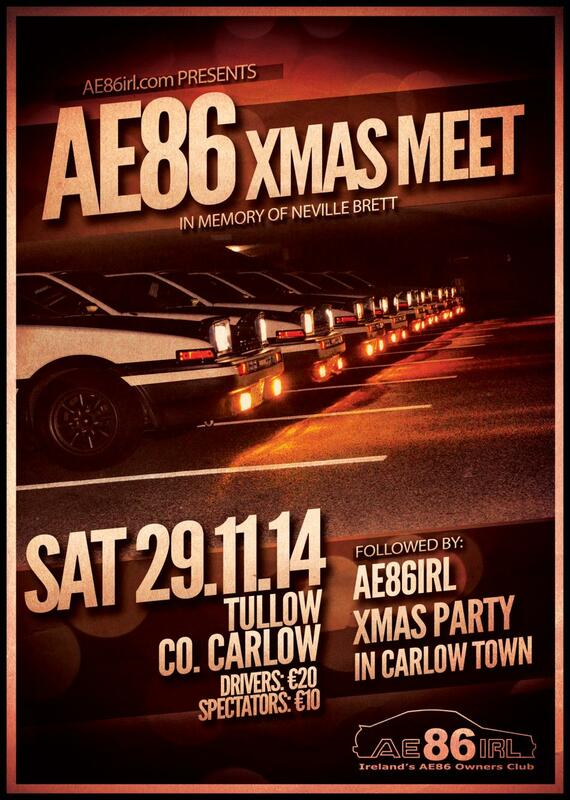 Followed up by the Xmas party to beat all Xmas parties in Carlow!